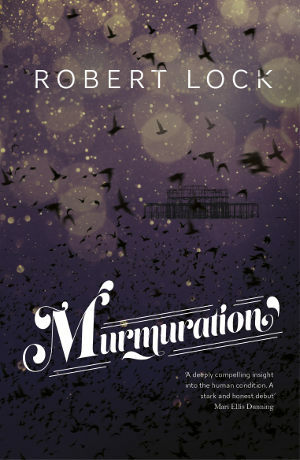 Drawing us into the magic and squalor of a seaside town, Murmuration by Robert Lock is that rare thing, a novel strung from several stories, each of which contributes to the greater whole. In this sense, the opening imagery of a flock of starlings performing their nightly show mirrors the nature of this unusual narrative. Rippled through the the starlings’ calls as they execute their extraordinary dance, “as perfectly orchestrated and paced as the finest symphony”, our omniscient view through their eyes takes in several centuries and lives – each disparate and yet mysteriously connected.